Black walnut trees (Juglan nigra) are found throughout much of the central-eastern part of the U.S., except in the far northern and far southern part of this range, but familiar elsewhere from the East Coast into the central plains. 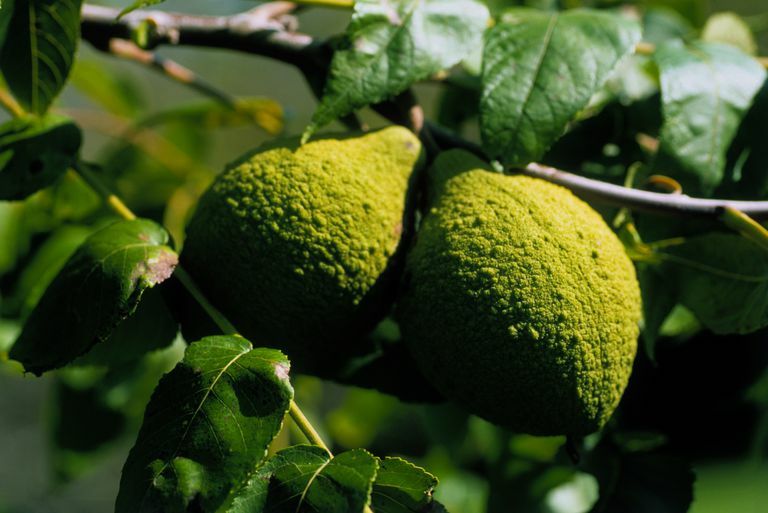 They are part of the general plant family Juglandaceae, which includes all the walnuts as well as hickory trees. The Latin name, Juglans, derives from Jovis glans, "Jupiter's acorn"--figuratively, a nut fit for a god. There are 21 species in the genus that range across the north temperate Old World from southeast Europe east to Japan, and more widely in the New World from southeast Canada west to California and south to Argentina. There are five native walnut species in North America: black walnut, butternut, Arizona walnut and two species in California. The two most commonly found walnuts found in native locations are the black walnut and butternut. In its natural setting, the black walnut favors riparian zones--the transition areas between rivers, creeks and denser woods. It does best in sunny areas, as it is classified as shade intolerant. The black walnut is known as an allelopathic tree: it releases chemicals in the ground that may poison other plants. A black walnut can sometimes be identified by the dead or yellowing plants in its vicinity. It often appears as a kind of "weed" tree along roadsides and in open areas, due to the fact that squirrels and other animals harvest and spread the nuts. It is often found in the same environment as silver maples, basswoods, white ash, yellow-poplar, elm and hackberry trees. Walnuts are specifically deciduous trees, 30 to 130 feet tall with pinnate leaves containing five to 25 leaflets. The actual leaf is attached to twigs in a mostly alternate arrangement and the leaf structure is odd-pinnately compound—meaning that the leaves consist of an odd number of individual leaflets that attach to a central stem. These leaflets are serrate or toothed. The shoots and twigs have a chambered pith, a characteristic that can quickly confirm the tree's identification when a twig is cut open. The fruit of a walnut is a rounded, hard-shelled nut. Butternuts are similar, but this type of native walnut has oblong ridged fruits that form in clusters. The leaf scars on butternut have a hairy top fringe, while walnuts do not. During dormancy, the black walnut can be identified by examining the bark; the leaf scars are seen when leaves are pulled away from branches, and by looking at the nuts that have fallen around the tree. In a black walnut, the bark is furrowed and dark in color (it is lighter in butternut). The leaf scars along twigs look like an upside-down shamrock with five or seven bundle scars. Beneath the tree, you usually find whole walnuts or their husks. The black walnut has a globose nut (meaning it is roughly globular or round), while the nuts on the butternut tree are more egg-shaped and smaller.